In 1995, a team of graduate students went on a mission to create new performance standards for legacy modernization software. 23 years later that same core team, led by CEO Luis Andrade, has delivered the most advanced solution available today for modernizing legacy systems. “While we looked at several, there wasn’t another vendor that could execute with the same level of proficiency as Morphis. Their technology was vastly superior to anyone else we considered.” Kari Branjord, Senior Vice President, Strategy and Product Management, ERP at Ellucian. The mission has always been to develop a single modernization platform capable of ingesting any legacy language and automatically outputting a modern, re-architected, cloud-ready equivalent (currently in J2EE/Java or C#/.NET) – a many-to-many model. 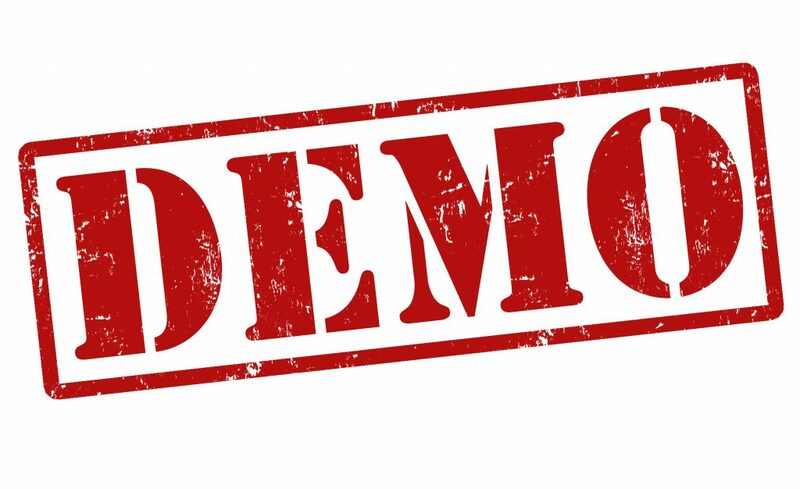 This has enabled learnings from disparate projects to be brought to bear on subsequent projects and for economies of scale that yield the fastest, lowest cost, lowest risk modernization solution on the market today. Of course, 100% automation is a goal with the degree of openness of the source language dictating the variety of code patterns and the resulting level of automation possible. Cobol, along with Oracle Forms, yields the highest automation level. 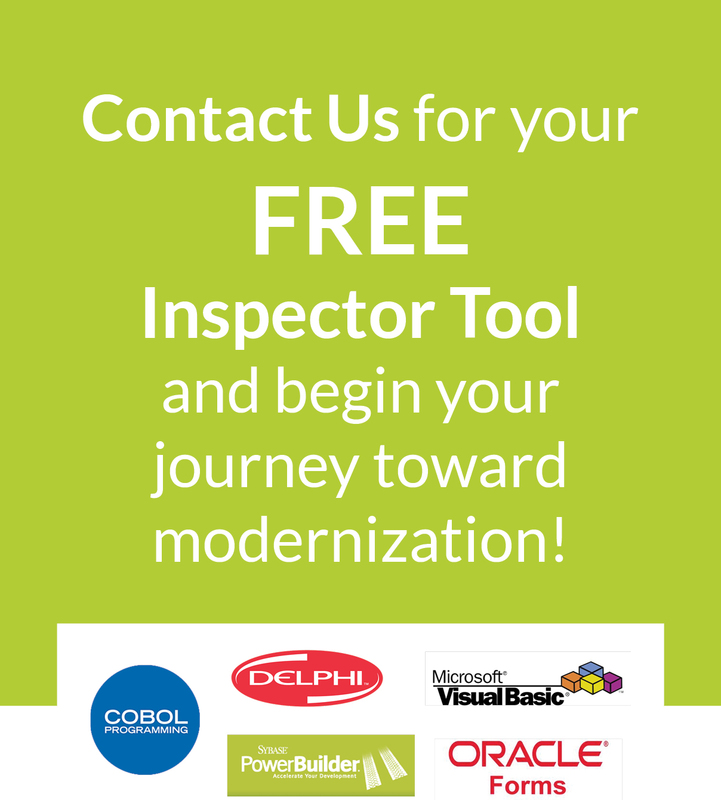 Even then, every modernization project is unique and the ability to analyze the legacy system – to ‘recover’ the existing design – is critical for a successful project. This not only allows customization of the tools to be used for transformation but highlights migration risks, thereby, enabling risk mitigation strategies to be put in place. Morphis has developed its own analysis tool set specifically for this purpose and it is this approach that has enabled Morphis to deliver some of the world’s largest, most complex modernization projects in recent times. Ellucian is an example. The project, which included the migration of over 4,000 pages from Oracle Forms to Java, specifically aimed to transform the user experience, accessibility, and extensibility for Banner® by Ellucian, the world’s leading higher education ERP system, which serves 1600 institutions across 40 countries. Many of the modernized forms had embedded business logic and the completed project was delivered in under two years without disruption to customers. With legacy banking systems still making headline news the rest of this post concentrates on Cobol modernization and illustrates how we’ve taken the risk out of modernizing these old but crucial business systems. A good language translator does not simply translate each word in a sentence, rather he/she translates the ideas and the meaning of each sentence. Similarly, the right migration strategy for a software application can’t be limited to the translation of instructions between the source and target programming languages. Rather, it should capture and preserve the intentions of the developers of the original application. 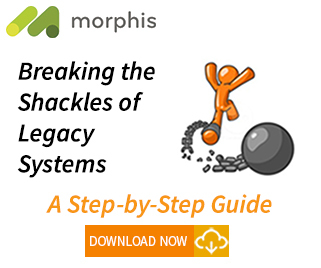 This is why our approach leverages the configurability of the Morphis platform to deliver an integrated: comprehension, reengineering, enhancement and migration environment, that is tailored to each project. This environment uses models to represent all of the source environment’s components and characteristics as well as those of the target environment, adhering at all times to industry and/or client best practices for programming. Assessment and preparation of all model elements in preparation for the migration. These are applied to source representative models and some transformation examples include: Go To, Perform Thru and Next Sentence elimination; separation of the persistence logic and the interface; and marking processes highlighting business rules and “intentions”. Report generation, for a better understanding of a system’s cartography. The versatility of the Morphis modernization approach means that we can quickly support new environments, languages and technologies, both at source and target level. 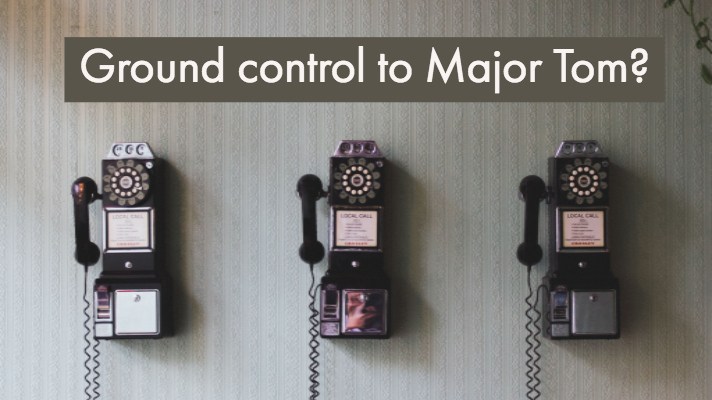 If you have legacy systems and Major Tom needs help, don’t rely on what you have, get started here.